Should we, or should we not eat meat? 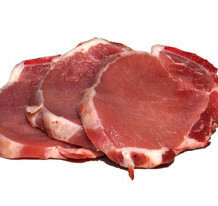 What is the role which meat consumption plays in the development of cancer? Scientific evidence seems to be growing that a diet high in fruits and vegetables is the foundation of not just cancer prevention, but also good health and vitality. On the flip side, the consumption of meat, in particular red meat and processed meat products, as well as other animal food products, is continually linked to cancer risk. Here is another study. (NaturalNews) Diets high in red and processed meats have long been associated with cancer of the large intestine. Now, however, for the first time scientists have looked at whether eating meat and other animal fats is also linked to cancers of the small intestine. Their findings show yet again what natural health advocates have said for years: red meat and diets high in animal fats are a good way to promote cancer, not wellness. The new study, just published in the Cancer Research, a journal of the American Association for Cancer Research, strongly suggests eating diets high in meat and other saturated fats is associated cancer of the small intestine — a kind of cancer that has been steadily increasing since the l970s. If a person gets this type of cancer, they are at increased risk of also developing a second malignancy, an often deadly colorectal cancer. “Identifying modifiable risk factors for cancer of the small intestine is important not only because the incidence of this cancer is on the rise, but it may enable us to further understand other gastrointestinal malignancies,” Amanda Cross, Ph.D., a National Cancer Institute researcher and the study’s lead author, said in a statement to the media. “There is some evidence to suggest that cancers of the small and large bowel both arise from adenomatous polyp precursor lesions, suggesting the adenoma-carcinoma sequence is relevant to both sites. For unknown reasons, the large intestine is much more susceptible to malignant transformation. Identifying risk factors that are unique as well as those that are similar for the two sites may aid our understanding of the comparative resistance of the small intestine to carcinogenesis,” Cross said in the press statement.She added that the associations found in the new study need to be studied further in other populations and with different types of saturated fat in order to understand the potential mechanisms involved.